Scherrer Gustav, Verzeichniss der Handschriften der Stiftsbibliothek von St. Gallen, Halle 1875, S. 38-39. St. Gallen, Stiftsbibliothek, Cod. Sang. 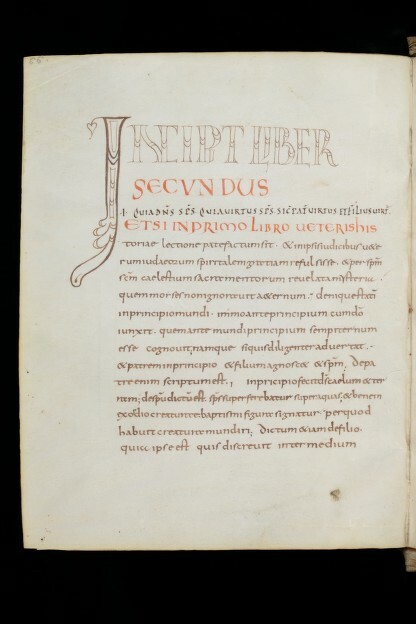 98: Sammelband mit den dogmatischen Werken De spiritu sancto libri tres ad Gratianum und Libri tres de incarnatione contra Apollinaristes, von Ambrosius; mit dem Werk des Bischofs Victricius von Rouen († vor 409) De laude sanctorum (http://e-codices.unifr.ch/de/list/one/csg/0098). Szirmai J. A., Carolingian Bindings in the Abbey Library of St Gall, in: Making the Medieval Book: Techniques of Production, ed. by L. L. Brownrigg. Proceedings of the Fourth Conference of The Seminar in the History of the Book to 1500, Oxford, July 1992, Anderson-Lovelace 1995, 157-179.